The greatest problems facing Canada have nothing to do with gender equality, native rights, or the economy, all of which are in passable condition. They are chronic national ambiguity and economic complacency. Justin Trudeau's recent visit to India has been panned internationally as a disaster unlike any foreign trip by a Canadian leader since John Diefenbaker crashed a meeting between British prime minister Harold MacMillan and U.S. President John Kennedy at Canadian industrialist E.P. Taylor's house in the Bahamas in 1963, and returned claiming that NATO had reconsidered its nuclear strategy and that Canada was rethinking its commitment to nuclear warheads for anti-aircraft missiles in the far north. This was debunked by everyone, and the Diefenbaker government fell. Justin Trudeau's costuming exhibition and affability with a Sikh terrorist is unlikely to have, and does not deserve, such a radical denouement. But this atonal passage to the sub-continent highlights the negative contribution this government is making to Canada's identity problem. Let us not deceive ourselves that there is such a problem. Canadians have always felt an irritation and a vulnerability that the country has an indistinct personality. This was more tolerable when it was a dominion. Canada was symbolic with ample geography, wealth, healthfulness and the virtues as well as the rigours of the north, and was an unexceptionable country in its political conduct, well-known for its civility and respected for its fidelity to alliances and its brave and disinterested contributions to just wars. In my lifetime it has emerged as a major nationality. The number of independent countries has tripled, but only a few of them, such as India, Israel, and Poland (benefitting from Moscow's compliance with its Yalta pledges to liberate that country, 46 years late) have instantly become important countries. When I was young, whole movie theatres would burst into applause when it was announced on the newsreel (we had them still) that Canada had won a bronze medal at the Olympic games. Canadians were delighted at the recognition the country received even from ex-pats, such as "America's sweetheart" Mary Pickford, Bonanza's Lorne Greene, and British publisher Lord Beaverbrook. For the longest time, the national attainments were derivative. Henry Cabot Lodge, U.S. ambassador to the UN, gave Lester Pearson the improvised peacekeeping formula to settle the Suez Crisis, because, he said, if the U.S. proposed it, the U.S.S.R. would veto it. It worked, Pearson won the Nobel Prize, the Liberal leadership, and Canada embraced the myth that it had a national vocation for peacekeeping. We became a G7 country when Britain, France, and West Germany wanted to add Italy to the G5 and the Americans and Japanese insisted on not being swamped by Europeans and Canada was the answer. We had an overseas monarch, most of our large companies were American subsidiaries, and Canadians were addicted to American television and southern winter holidays; the English and French-speaking sections of the country didn't know or even particularly like each other, and 95 per cent of Canadians lived within 200 miles of the U.S. border. It was a pleasant place but an indistinct nationality. As the United States almost tripled in population between the U.S. Civil War and the First World War, to avoid being swamped, Laurier increased immigration to an astounding six per cent of the population, three times the level it ever attained in the U.S. (like admitting over two million people a year to Canada now). No country ever contributed so many volunteers (nor any who fought more bravely) to a conflict where it was under no direct threat — out of solidarity and principle — than Canada did in the Second World War. Mackenzie King not only ran the fourth greatest Allied national war effort (after the U.S., U.S.S.R. and, U.K.), and spared the country the near insurrection of 1917; his government's British Commonwealth Air Training Plan qualified the strategically vital total of 125,000 airmen. Until recently, Canada has grown steadily in stature throughout its history; no revolutions or civil wars, just what our elementary school teachers called "steady progress." It is an illusion that Canada's development has been easy just because it has been relatively peaceful, and it is the relatively gentle nature of the country's history that makes it indistinct to foreigners and incites many Canadians to exaggerate unjustly the extent of injustices that have been inflicted on native people and others. 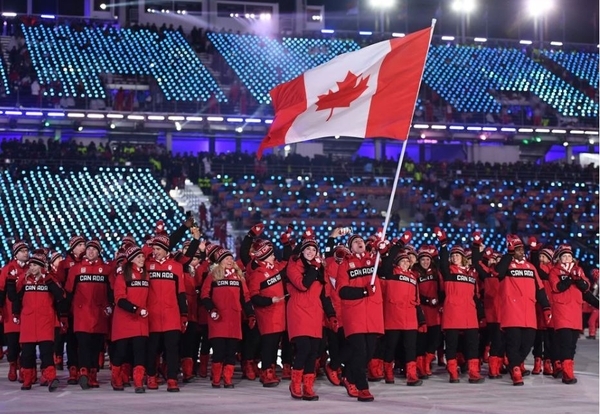 With excruciating slowness, Canada has inched toward a stronger identity. Pearson gave it a flag; Pierre Trudeau patriated the Constitution and made it a functioning bicultural country and defeated the Quebec separatists, the greatest threat Canada has faced since the war of 1812. Brian Mulroney enabled Canada to prove it could compete with the United States in free trade, and Jean Chrétien, Paul Martin, and Stephen Harper managed Canada with greater fiscal responsibility than any other major free market country. Justin Trudeau has opted for "a post-national Canada," has legitimized extreme claims of wrongdoing against Canada by native leaders, has accepted every self-proclaimed native formation as a "nation," and espouses diversity as a desirable collective goal of homogenization into pallid indistinguishability, assimilation with the ether. He declines Quebec's request to complete the accession of Quebec to the Constitution, under the most unambiguously federalist Quebec government since Adelard Godbout (1944). There is a penalty to be paid in tangible terms for all this self-reflective waffling. When I first travelled in the world, more than 50 years ago, Canada was the most prosperous country in the world after the U.S., (leaving out miniature tax-havens and petro-states). Now Finland, Austria, Netherlands, Sweden, Denmark, Ireland and Switzerland, are at between 102 and 180 per cent of our standard of living and none of them qualifies as a naturally rich country. They're just smarter. Australia, which is naturally almost as rich a country as Canada, has 127 per cent of our standard of living. The United States, despite almost dysfunctional government for 15 years until recently and the admission of millions of unskilled migrants, has extended its lead over us to 145 per cent of our standard of living. Israel, which when I was very young was a war-torn land of, in the words of Pontius Pilate 2,000 years ago, "sand, camels, and Jehovah," now has 90 per cent of our standard of living. Canada requires government that can inspire the people and impress the world with serious concepts of national purpose and physical projects of impressive scale, like Canada itself: Canadian Pacific, the St. Lawrence Seaway, great hydro-electric dams from Niagara to Manicouagan, and even the Montreal World's Fair. Costumed naval-gazing, endless debate about daycare, and robotic repetition of the pieties of gender equality were not what inspired the builders of this country, and will not get us to the place of excellence where we belong. It won't even help us export steel and aluminum to the U.S.